Some visitors are more profitable than others, and thoughtfully created Remarketing Lists can help businesses focus their ad spend on the most valuable visitors. This can improve revenue, reduce costs, or both. The key is discovering the common characteristics of visitors which make them more valuable than an average visitor, and then preferentially delivering ads (i.e. bid higher) to users who have these characteristics. In other words, if you can segment your visitor base to identify which users have a higher potential value, you’ll be able to make smarter decisions with your advertising budget. 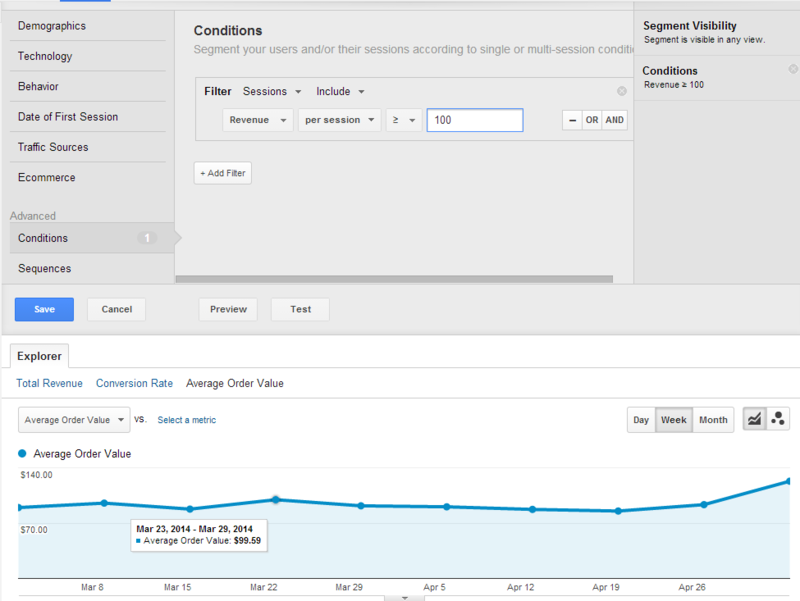 Utilizing features of Google Analytics and Google Tag Manager provides the opportunity to do this. Let’s start with a curious question –> How long does it take users to convert on the site? The first place I would go to begin answering this question is by applying a “converted” segment (in this case, a purchase) to the Session Duration report. Right away I notice that it takes a large percentage of users over 10 minutes in order to make a purchase, and over almost 13% require a half an hour or more. While I very much like segmenting the Engagement Reports, in this particular case I’m going to look at the User Timings report as I believe the data visualization is more helpful there (you can expand the histogram). 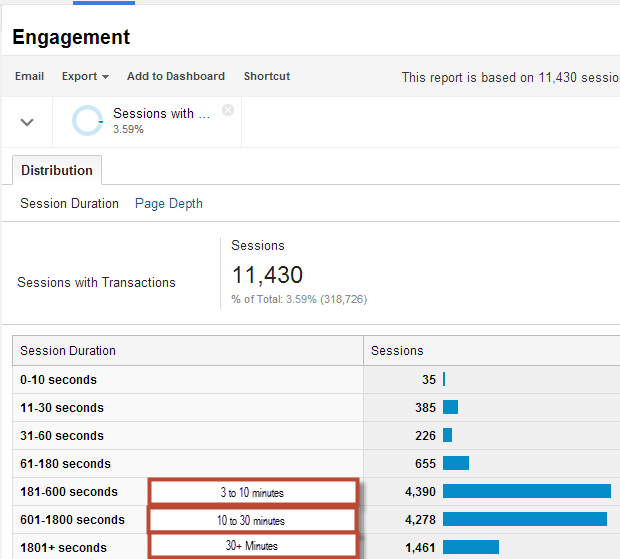 You will not find this report “out of the box” in GA. Rather, we decided to capture the amount of time from session start until purchase and pass that data back to Google Analytics using their User Timings API. (As a side note, I believe that the User Timings API is quite under utilized by many companies as well as other GA folks out there). In this particular example, the astute amongst you will quickly notice that values in User Timings histogram don’t match up to the values in the segmented Session Duration report. That is because we chose to configure out User Timing data in a way that differs from the standard GA session timeout so that we’d have a bit of a different view of data. But that’s just a side point… The main point that I want to get across is that segmenting my users who converted by the amount of time it took the to convert can be quite useful (as we shall see). Layering on one more segment, I noticed that the amount of time to purchase differed significantly by Average Order Value. A quick view peek at “unsegmented” average order value reveals that this business has an AOV around $100. But of course, we can’t look at unsegmented data! So let’s create a simple segment of purchases that are above and below the AOV. Interestingly, while more than 2/3rds of sales on the site are for small orders, the larger orders on the site are responsible for almost 3/4ths of total revenue. Now let’s apply these segments to our histograms of how long it takes users to make a purchase. We’re now able to see a quantitative expression for a user behavior that makes a lot of sense –> namely, it takes people more time to make a purchase decision when they are intending to spend more money. Now that we have some data to back up our intuition, we can allocate our marketing budget in a much smarter way. For starters, let’s create a powerful remarketing list with just a few clicks and no complicated code required to power our business logic. 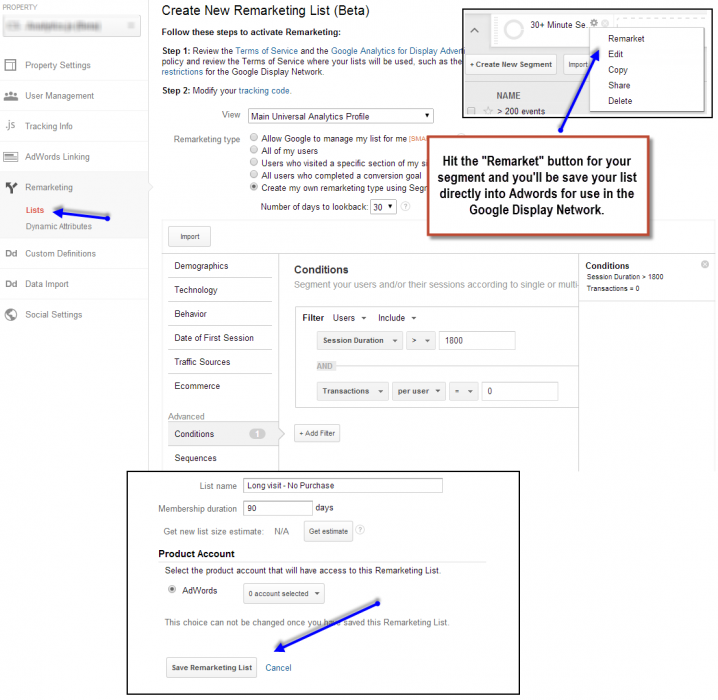 In the above example, if a user has a session that is longer than 30 minutes AND has not made a purchase before they are added to the remarketing list. In other words, when we have evidence that the person is more likely to be a high value customer we’ll do our best to make sure our products and brand don’t get forgotten via targeted remarketing. But let’s say that we want to add this user to a Remarketing Lists for Search Ads (RLSA) list. RLSA lists work in a very similar way to Google Display Network audience lists, but differ in a few important ways. As the name suggests, the purpose of the RLSA list is to create a bid modifier for search as opposed to the remarketing display ads which we’re all so familiar with (if you browse the web, that is). So, if we have a user on our site that we has indicated to us in some way that they are likely to be a valuable customer it makes sense to try to bring that person back to our site if they are still in the process of searching for products or services. 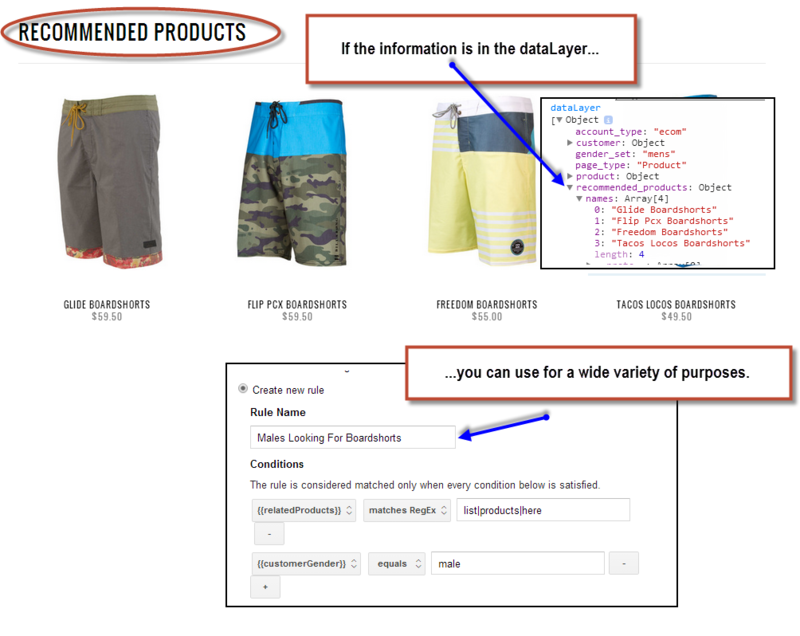 But RLSA lists cannot be generated directly through Google Analytics. 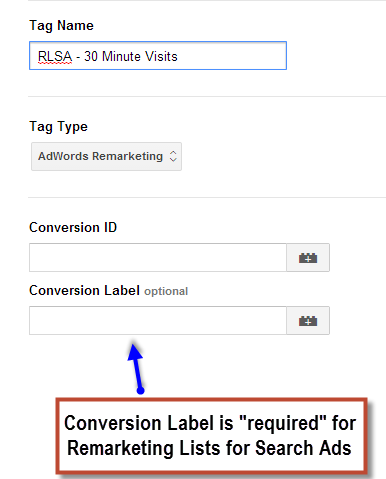 In order for an RLSA remarketing pixel to work, there needs to be a “conversion label” added to the tag. 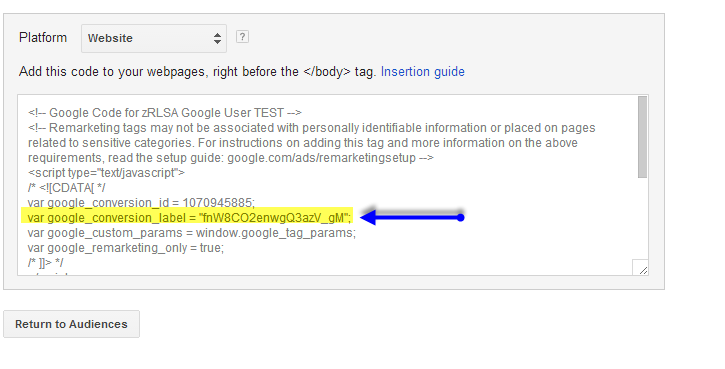 Here’s where Google Tag Manager comes into the picture. In almost all of the advanced Google Analytics implementation work we do here at Analytics Ninja, we’re using Google Tag Manager to power the implementation. There are many, many reasons for this and I’ll do my best to share why using a TMS is a must for most organizations in future blog posts. For now, we’ll use the example of creating advanced remarketing lists using Google Tag Manager to whet your palate. While the current example is for Remarketing Lists for Search Ads, any remarketing pixel (for example, Adroll) can be deployed through Google Tag Manager. First, select create a new Tag and choose your Tag Type. In our case, we’re going to use an Adwords Remarketing tag. 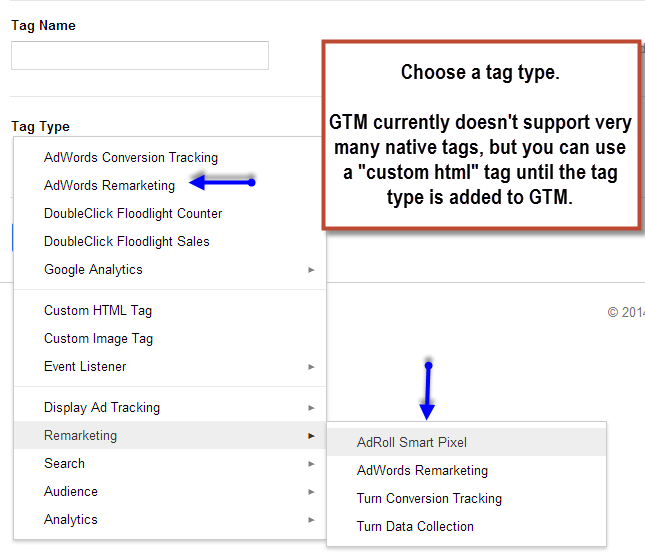 You’ll need to get the conversion label from Adwords when you create your tag so that you can copy and paste it into GTM. Now the fun part. Choose when your tag fires by creating a rule. 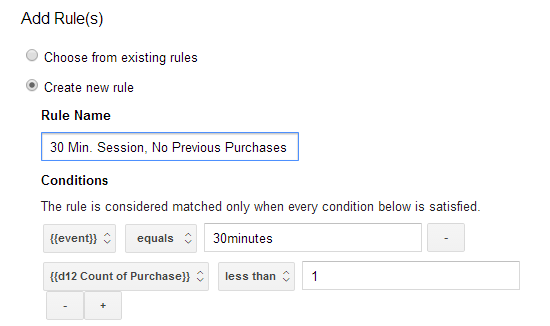 Remember, in order for a rule to fire a tag in GTM, either the condition of the rule needs to be true when GTM loads or the rule contains an event. So in order to get our “more than 30 minutes” tag to fire, we’ll need to send an event into GTM. With a robust implementation, however, this should be a piece of cake because all of the infrastructure that is driving your digital analytics data collection can be translated into a list of business rules to power “smart” remarketing. This fires the tag when a user watches a than half of a product video. Since we’re already tracking all video views (including progress) as well as the Page Category, setting up the rule is simple. In this example, we’re beginning to leverage the data we have on cross-sells and up-sells to build out our remarketing lists. 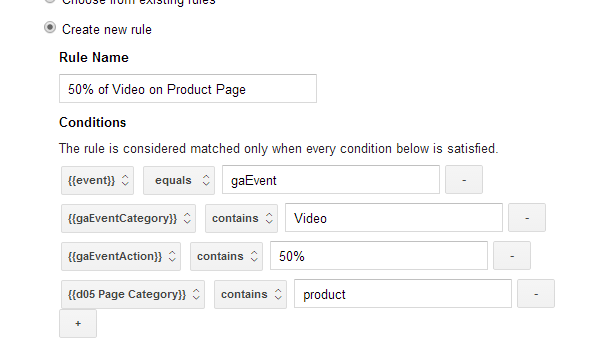 Once a rule is created in GTM, it can be used to fire (or block) any tag. 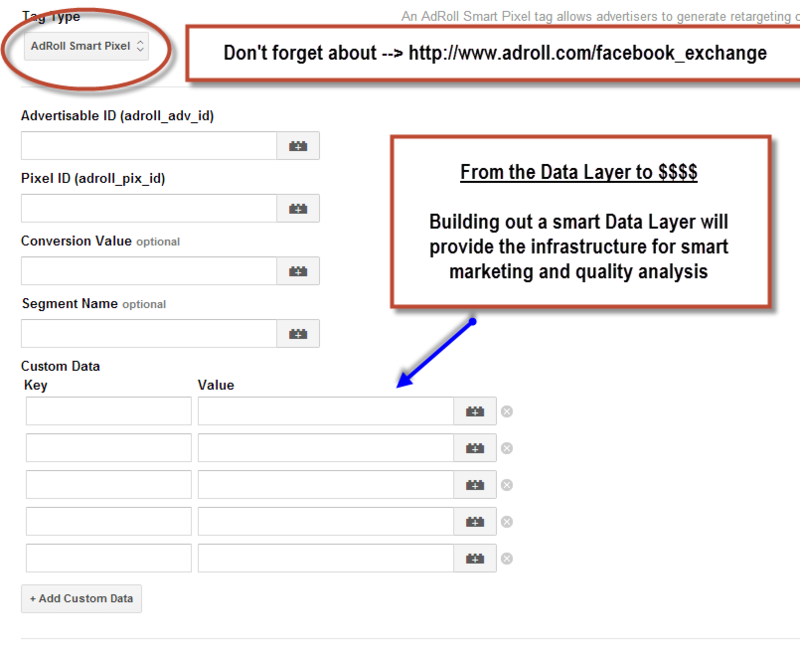 In other words, the above scenario can be used to build remarketing lists for Adroll, Google RLSAs, etc etc. Google Tag Manager can (and should) be used to power your marketing and not just your digital measurement. A robust Google Analytics Implementation allows you to create marketing segments that will product meaningful results, and Adwords Remarketing Lists can be created directly from GA segments. But the Google Display Network is certainly not the only game in town when it comes to remarketing, so take advantage of a Google’s free tag management platform to fuel smart business decisions and deploy your marketing tags in a way that will give your business a competitive advantage over your competitors. 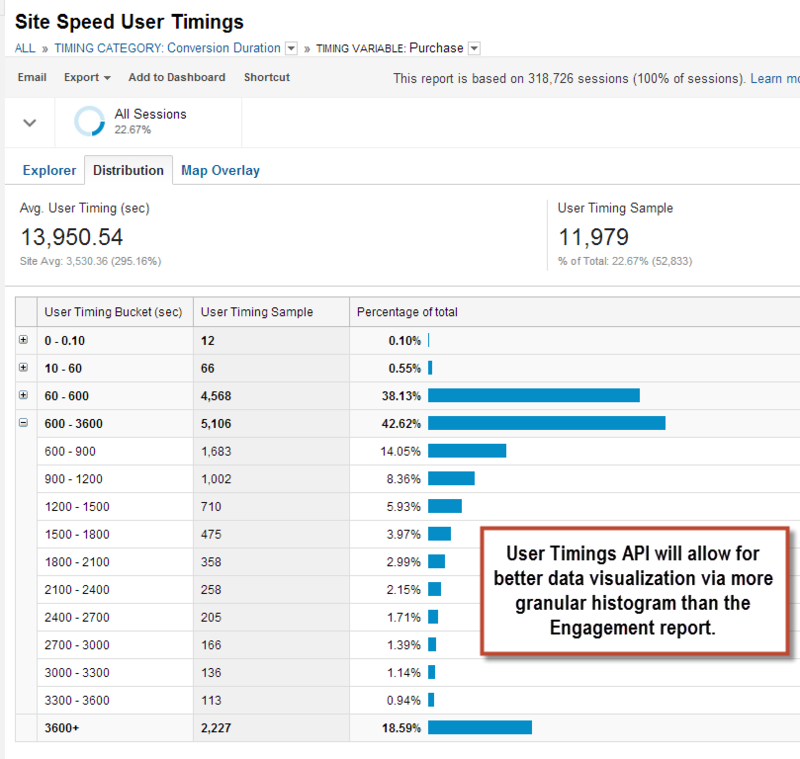 I totally agree with you that most of GA users do not use User Timing API (the same goes for Motion Chart reports), but do you think this report is also relevant for a non-eCommerce sites? I’m trying to think how I could use it for a portfolio site for example, or a gathering leads site. I’m not sure how the information “How long it takes from the entrance to lead submittion” can help me. As with everything in digital analytics, it isn’t about the particular tool, API, or report, but rather about the business question you are trying to answer. If you do not believe that you’ll be able to make a business decision based upon the answer of “how long does it take the user to submit a lead gen form on my site?” then you don’t need to try and answer that question. Start from the question, formulate a hypothesis, and then move forward from there. Hi! I just read this post. I have to question in the adroll part. 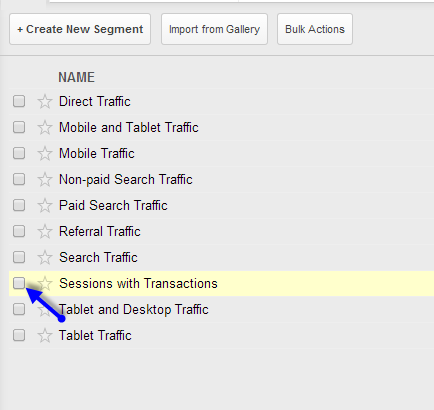 If I set up the tag correctly in GTM how Adroll can see the segment that I created? Thanks! Replying to myself for another test. The idea to fire various tags based on time events is amazing. I have some questions how you define your time event? How you using the gtm.timer to fire at a session? How you exclude bounced visitors ? Great article! Is it possible to see how many people have been added to a given remarketing list? I’ve tried searching around but can’t seem to find info on this. 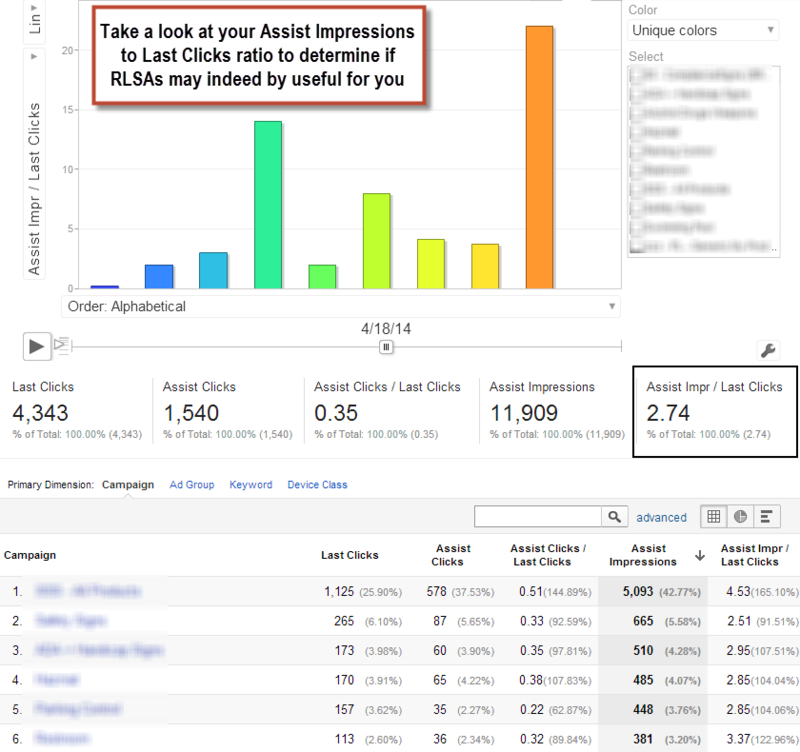 You should be able to see that information within your Audiences tab in Adwords. Hi Yehoshua! If i set dinamic remarketing on in with tag manager how could you decide which one to “fire” once a user saw a product? I mean dinamic is a good automated solution for large webshops but this one seems better as its kind of like segmenting within your lists. How does this two could work together? Thanks,M. I just finished reading “Advanced Remarketing with Google Analytics & Google Tag Manager”, just brilliant. I have not been using the the User Timings API to this extent and your article just converted me. Thanks.